Founded by members of the Russian Imperial Ballet in 1927, The Russian Tea Room exudes the extravagance of 20th-century Russia. With antique brass samovars, intricately decorated Fabergé eggs and glistening chandeliers, this restaurant possesses a grandeur essence unlike any other. In addition to its reputation as a social hotspot, The Russian Tea Room is also a popular filming location; scenes from Manhattan, Tootsie, and The Turning Point were filmed inside this famous restaurant. The menu at The Russian Tea Room (see itinerary section below) is in keeping with the restaurant's luxurious atmosphere, created to lavish your taste buds with Russian and continental cuisine. The restaurant's classic dishes include the Borscht, Chicken Kiev, Beef Stroganoff and Vareniki. 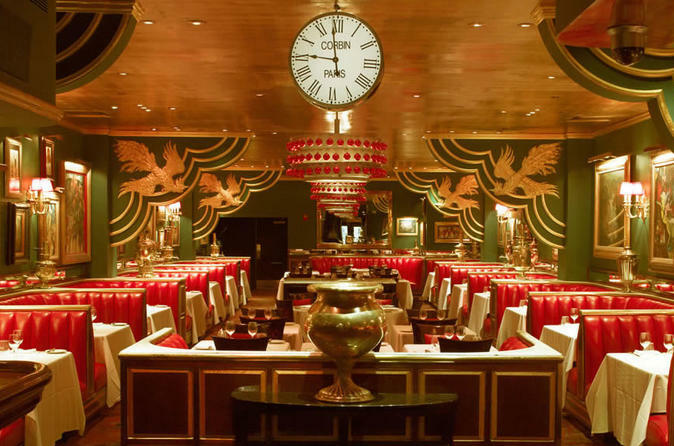 The Russian Tea Room is a New York City attraction that should not be missed. Visit for a memorable lunch or dinner, or why not make your day extra special and enjoy a pre-theater dinner before viewing a show at the Carnegie Hall? Whatever your New York visit includes, make sure the Russian Tea Room is on your list!